Breaking news you've all been waiting for. I am so very excited to be able to bring you the details on our final workshop for my summer 2015 hafla and workshop day in Glastonbury on July 26th 2015. It's Samantha Riggs everybody! Samantha offered me an amazing selection of workshops, and I have chosen one which I think is going to be so much fun for everybody, quite different to anything available locally and a good compliment to the other 2 workshops on the day with myself and Demelza Fox. Bhangra is a folk dance style from the region of Punjab in Northern India. There are many Bhangra competitions around the country in which teams participate for prize money. In the quest for the prize, the traditional Bhangra moves have been spiced up by the competing teams… much as the bellydance community has elaborated on traditional Middle Eastern dances. The result is an athletic and exuberant version of traditional Bhangra… which is already quite aerobic in itself! Samantha has studied this over-the-top style with Punjabi instructors and will break it down for you. Be ready for jumps, stomps, drops and fun with rocking Bhangra remixes! If you are interested in seeing some Bhangra, then Samantha has compiled an excellent playlist on YouTube. So if you book all 3 workshops (at a discount no less), you can expect a packed day of sass and attitude, a little bit of slink, a little bit of introspection ending with a lively dance-filled session to get us all pumped up for the evening's party! Samantha Riggs is the Founder, Director and Choreographer for Portico Dance Company which is based in Bellingham, WA where she lives and teaches weekly classes. Portico Dance Company is Samantha's newest brainchild (but is now 4 years old!) and works with collaborating artists from British Columbia, North Carolina, Oregon, California and Arizona. "Portico", being an Italian word referring to a porch supported by columns, is so-named as a salute to the power of community. Samantha and Portico perform and teach traditional and original dances in the styles of Bollywood, Bhangra and Tribal Belly Dance. With profound love and respect for the cultures in India, the Middle East and the US by whom they are inspired, Portico's performances are a gift of love to their audiences. The dancers hope that their viewers, too, will partake in the joy of these traditions. With a prestigious 21-year dance career, Samantha has amassed an impressive portfolio in both traditional and original dance styles. She specializes in Bollywood, Bhangra, Tribal Style Bellydance, Tribal Fusion, Fire Arts and Fight Choreography for Dancers, and is the creator of the innovative "Portico-Style Bollywood Fusion Improv” dance style. Gaining notoriety as both an independent dancer and with her troupe involvement as director, assistant director, choreographer, teacher and musician, her featured performances have reached audiences worldwide. During Samantha's time with Domba Tribal Fusion Dance Troupe, they won the 2006 Zaghareet “Best Troupe” award. With her second directorial project, Boom Boom Bollywood, Samantha's innovative “Minnat Kare” choreography won first place in the Aashiyana All-Indus Dance Competition in 2007. In 2012-15, Samantha's current company, Portico, performed and taught at a sold-out panel at Emerald City Comicon, as the headlining artist for the show "Bombay Underground" in Vancouver, BC, at Reigning Down on Oregon Dance Camp and as a featured artist in the “Shakti Awards Gala” in Surrey, BC. Samantha continues to be in demand as an instructor, choreographer and performance artist. 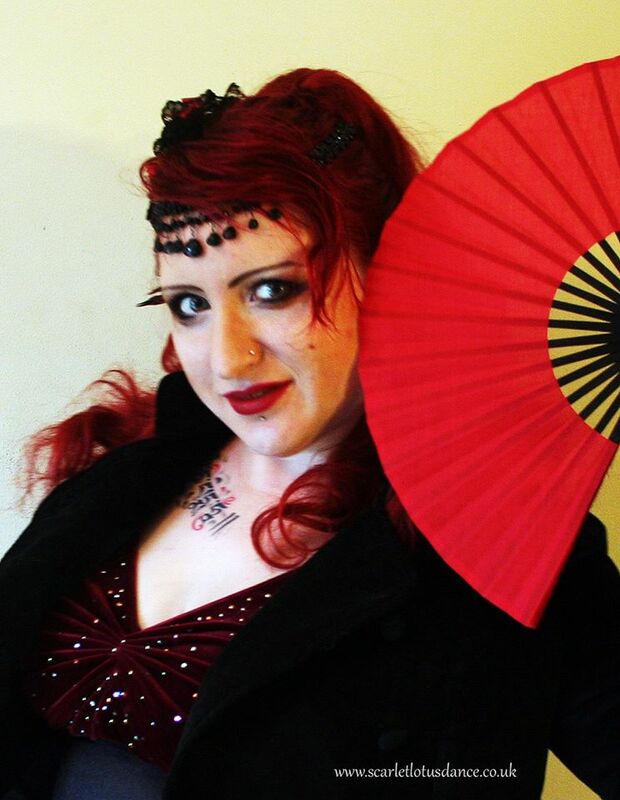 She is also a core performer and the costume designer for Jamila Lotus Bellydance Carnivale. For Samantha, Art is really all about saving the World through an unadulterated, fearless and unapologetic expression of Love and belief in the benevolence of others. Samantha is also a tall ship sailor and gunner. She can often be found somewhere off the west coast of the United States or Canada, 70-90 feet in the air in the rigging, hauling like mad on a halyard, happily covered in pine tar or firing the black powder guns of the brig Lady Washington. She is currently studying to be a marine mechanic and electrician so she can fix things on more modern ships and work on big, loud engines. I am feeling exceptionally lucky to be able to host Samantha here in Glastonbury, so don't miss your opportunity to learn from her, book your tickets today! Tribal or technical? What forms the borders between bellydance styles? A decade or so ago, when I was first taking note of the world of bellydance and its "politics" I heard of the Tribal/Cabaret divide. You see apparently there were "Cabaret" dancers ("traditional", oriental, raqs sharqui - many consider "Cabaret" to be an inappropriate or derogatory label), who were Barbie dolls in sequin 2 pieces who were bubbly and flirtatious; then there were the Tribal girls, who were goths in too much kuchi who were culturally inauthentic and weird. Neither group seemed to like the other very much or have much respect for what they were doing. Now, I am not sure whether this divide has diminished, whether it never really existed apart from in the minds of a few vociferous individuals online or if I am just surrounded by the most awesome community of dancers who are wonderful and supportive of each other; but the truth is, that I don't really encounter it so often anymore. Occasionally I come across the misconceptions and sadly it seems to be the newcomers and visitors to our world who are exposed to them. A well respected dancer commented on a discussion a few months ago, about writing a piece comparing Oriental and ATS (American Tribal Style) to help beginners understand the differences. She listed some possible ideas for differences. Almost all were not very flattering to ATS and every one was over simplified, over generalised or just inaccurate.When pointed this out, and suggested that there were differences between American Cabaret, Modern Egyptian and Turkish Oriental styles that were just as pronounced, she suggested I wrote my own piece. So here it is. I suspect it will be controversial in places, I can live with that. Erm, nope. Slow ATS can be dripping with musicality and expression. Fast ATS steps tend to follow the beat rather than the melody, however, even I, as a very clumsy beginner in this style, can recognise that a good lead will choose steps that fit the music and there is real skill in having a group of dancers improvise in a way that really works with the music. It's one of those things which appears effortless when it is done right, but obviously jarring when it misses the mark. A dancer once said this to me, knowing that I have a background in Egyptian Oriental. It surprised me to the point that my only response was "erm, no....". It probably should have been "have you heard of Aziza?". I have spent as much time breaking down and drilling techniques, from the basics up, with Oriental style teachers as with Tribal Fusion teachers. It is true that there are bellydance teachers who don't break down or correct technique, and expect their students to follow them and dance along. Some of these classes are fun and informal, some a poor value and unhealthy. Before the Tribal styles became popular, it stands to reason that these would have all been "cabaret" style classes. Times have moved on, classes like this exist in all styles now, it's the teachers, not the dance style. I don't teach like this because I feel it creates a ceiling, where the serious dancer will stop progressing and have to go right back to basics before they can reach a mid-improver to intermediate standard. They dance to any music they choose! That is the joy of fusion, could come from one origin, or the other, or both. There are many Tribal Fusion dancers who perform to Middle Eastern music (often in a folkloric style). ATS dancers don't engage the audience, are haughty or never smile. None of these are absolute truths. Again, this is something you may see from individuals or groups, but it is not a universal rule for the style. The big one here is posture. Tribal dancers bend their knees deeply and hyperlift their chests in a posture that is very stylised and different from that of Oriental dancers. Tribal dancers also dance with flat feet while folkloric MENA dances are also flatfooted, but the stage versions are danced on the balls of the feet. That last paragraph was not true. Last summer I was lucky enough to take an ATS class with Kristine Adams - A teacher from the FCBD mother studio who is currently travelling the world like an ATS missionary, putting us all to rights. We spent a lot of time on posture. She pointed out that the stereotyped ultra high chest is not good form, and not part of the FCBD ATS canon. With the chest too high, you can't properly execute chest movements and it also leads to a swayback which is a whole pandora's box of not OK. Knees too, soft, not straight, not bent by default. As she broke down and corrected everyone's posture it became very clear to me that this posture was actually no different to good, safe, basic posture as taught by any good Raqs Sharqui teacher. Arm positions are different, and that gives a different look to the body, but the alignment of the pelvis and spine has to be healthy, in any style. This is an issue close to my heart, because for years I have had Oriental teachers tell me that I am a "tribal dancer" (when in reality, I was an Oriental dancer first, and have much more training in that style). Several teacher wrote off issues with my posture as a result of me cross training with Tribal styles and adopting "Tribal posture". They were wrong. I realised during an extremely geeky practice session, where I spent around 2 hours examining my posture in various moves, that I had a problem keeping my pelvis neutral when my legs were straightish (i.e. soft knees). I had to bend my knees to drop my tail down. This is not a result of tribal training. I spent a lot of time stretching my hip flexors, my lower back, lying on the floor, standing up against the wall, engaging various muscles, and then I saw a physio. It turned out that my legs were slightly inwardly rotated, you can't see it, my knees weren't knocking, my legs looked fine, but the angle of my hip in the socket was preventing my pelvis from dropping into neutral. It's a combination of femoral torsion (bone confirmation, not correctable) and weak hip rotators (correctable, thanks Mme physio). I said it was geeky. Anyhow, the outcome of this story is that I corrected my posture issue, well it's a work in progress, and I started looking more carefully at how my students were standing too, because it's very easy to get "lazy" and let your gluteus medius take over the job of the small hip rotators and mess up your pelvic alignment. The moral is that it's also very easy to "blame" your students' issues on something you don't understand. So getting down to it, are there many differences in the fundamentals of Tribal Fusion and "Cabaret"? In my book, not so many. I would say there is a crossover of about 80%. There are major differences in stylisation, aesthetic, which moves are used more heavily than others etc, but when it comes down to how movements are executed, notsomuch. I know I'm not alone in this, because of the number of times I have seen an Oriental teacher suggest Rachel Brice's Tribal Fusion DVD as a good beginners' drill option. So how do we explain the difference to our newbies? It's difficult to condense the nuances of different bellydance styles into a short statement which is accurate, fair and accessible to the new dancer. Sometimes as teachers and ambassadors for bellydance, we have to do this and when we do, the most important thing is to be straightforward, and to try and put aside bias or personal agendas. I keep YouTube playlists with examples of different dance styles for my students to refer to, because a 4 minute video can communicate the essence of a dance far more clearly than any worded explanation. "I'm sorry, that is beyond my field of expertise, but I am so glad to see you being inspired by this; why don't you find out more, then share it with us next time we meet - here is a good place to start"
The more I learn and understand about different styles, following the threads back to their origins, exploring the family tree of bellydance, dancing different styles and getting right down to the nitty gritty, the more I suspect that the divides in our community are not about technique. Perhaps they are not even stylistic or even about values or cultural interest. I think much of what divides us is tribal. Not Tribal bellydance tribal. The natural, deep seated need to belong to a strong, supportive community, the natural competitive urge between tribes and exclusion of that which "does not belong". 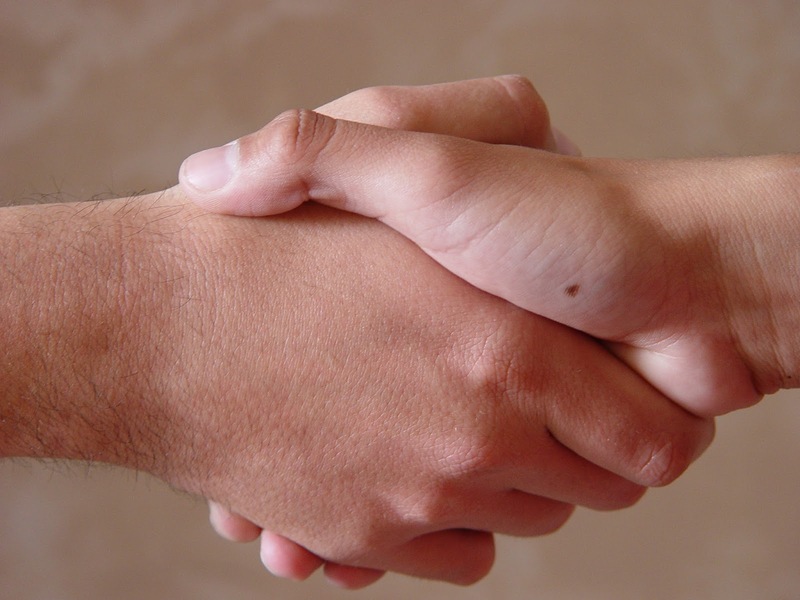 I would love to see less examples of how different we are from each other, and more celebration of our common ground. We are a small community of people who are passionate about bellydance. We might have different aesthetics, different artistic ideas or priorities, but we have more in common than we often admit. Continuing with some background info about our workshops for the July 26th Hafla in Glastonbury. We've heard about my Dark Cabaret workshop, so let's go for the next one. I am so happy to be hosting Demelza, she's a beautiful dancer both technically and expressively; I just can't wait to see what she has for us. Using meditation, body awareness and Goddess-embodiment techniques to craft an expansive, full stage presence. A workshop full of techniques to expand your stage presence, time to explore and experiment (play!) with the techniques, culminating in a short, slow, dark-fusion inspired dance combination. Demelza's stage presence is truly spellbinding, if she can transmit a 10th of the magic she creates on stage to her students, this workshop will be exceptionally worthwhile. Demelza Fox (known as Demi) is the resident teacher at the Serpentine School. A fantastic and passionate teacher and long time student of belly dance, she loves to travel the world to further her studies and bring belly dance skills back to share with her students here at the School. She has trained intensively with belly dance mega stars such as Suhaila Salimpour, Zoe Jakes, Kami Liddle, Samantha Emanuel and Rachel Brice, and is a committed and innovative practitioner of Belly Dance. She has represented Belly Dance with the best at various London and nationwide theatre shows, and performed in a touring theatrical belly dance theatre show. She has a reputation for being an innovator of the belly dance format and is nationally renowned for her dedication, passion and incredible performance skills. Demelza runs The Serpentine Fatale, an avant-garde Tribal Fusion dance and production company, specialising in bringing fairy-tale inspired theatrical splendour to a wider audience. She also runs Merlesque, the UK's top mermaid performance company, and enchants adults and kiddies around the UK as a mermaid performer. So don't delay, take this opportunity to train with a fabulous teacher. Book online now, and don't forget, there is a discount if you book all 3 workshops together. A workshop for you stone-cold vixens. I thought I would take a moment to give a little more information about the workshop I will be teaching on July 26th - the awesome day of workshops and hafla in Glastonbury! "You leave me cold" is a choreography in my Dark Cabaret style, with it's roots in bellydance it is heavily influenced by jazz, burlesque and film noir. This is the first time I have offered this workshop to the public, although it is tried and true (with a private group) and proved to be great fun. So why should you sign up to this workshop? Learn a choreography which you will be entitled to perform, as a solo or group. I provide written notes and a video link to make sure you don't find yourself stuck and forgetful. You can also take any elements - steps or combinations from this choreography and use them in new material. Discover the styling and influences of this fun and sassy fusion style, bringing in elements of characterisation and stage presence. Find your inner femme fatale! This is my own signature fusion, which has evolved from a hotpot of training, cultural influences, trial and hilarious error. Gain a deeper understanding of musicality and interpretation. Have fun with awesome people. This is an open level workshop, which means that almost anyone can come along and keep up, however I would strongly advise that you have nailed the fundamental movements of basic bellydance as I will not be drilling any movements for very long. The choreography is differentiated with some layers for improver to intermediate dancers, but simpler alternatives for beginner to improver level dancers. It is not particularly demanding in terms of fitness, although you will be dancing for almost all of the 2 hours. I will be breaking down technique briefly, so if you are from a different "school" of bellydance, you will not have any translation issues! People of all ages, sizes and genders are welcome - All I ask of you is a will to learn and the drive to give it a go. Me! Hi! I'm Kash, I teach the regular weekly Scarlet Lotus classes in Bridgewater and Glastonbury. If you are local you may have encountered me performing at haflas, or teaching a workshop or hanging out at festivals like Majma. If you are less local we might still have met at other events and classes like Gothla, because I get about a bit. I'm a Classical Oriental style dancer first and foremost, although I also have a strong background in Tribal Fusion and Gothic bellydance. I perform a lot of fusion, vintage inspired pieces and drum solos with Doum Tekka. I have completed JWWAD's foundation course for teaching and I am an affiliate member of The JTA. I have also completed Bex Priest's "Ghoul School" foundation for Dark Fusion teachers. I am a graduate anatomist with a specialist interest in movement and biomechanics which really helps me to interpret my students' movement and give helpful technical feedback. I am a committed dancer, technique pedant and geek of all things dance related. In my free time I like to set things on fire and hug chickens. Not at the same time. I am really looking forward to this fabulous day of dance, I hope you can join us. Book your place online here - there is a discount if you book all 3 workshops on the day! Summer is here and it's time to party! Bellydance workshops and hafla in Glastonbury! I want to tell you about some fabulous stuff that's happening on Sunday the 26th July. We had such a great time with Michelle Manx last summer that when I was contacted on behalf of Samantha Riggs - over from the US for Gothla UK this year - I was thrilled to have the opportunity to host another high calibre teacher in our locale. At the time I was already arranging with the gorgeous Demelza Fox, who had a workshop she wanted to share with us; and in a spell of typical Glastonbury synchronicity, it turned out that both Demelza and Samantha suggested the same day. Thus, the biggest Scarlet Lotus event to date was conceived! So I bet you want to know what's happening, don't you? Well, we've got a day full of workshops. Samantha is doing a Bollywood workshop which is guaranteed to be immense fun, not to mention Samantha's incredible skill in this style, Demelza is going to be doing a performance workshop which just sounds amazing, if any of us can go away with just a sniff of her poise and stage presence we'll be winning, finally, I'm going to be teaching a sassy choreography in my characteristic Dark Cabaret style. After all that we are going to need to let our hair down, so there will be a hafla. That means performances from the workshop teachers, alongside other local dancers, teachers and student groups. If you want a dance slot, let me know. We can bring our own food in for the hafla, so bring a plate. We can't bring alcohol in as the venue will not allow it, but the bar is well stocked and reasonable. The event is happening at Abbey Moor Stadium, the home of Glastonbury football club. It's got a great event space, separate green room for performers, kitchen facilities and a licensed bar. Not to mention loads of parking. It's 10 minutes walk from the centre of Glastonbury and easily accessible from the A39. It's also right next to the Isle of Avalon Caravan park, for those who like to roll out of a hafla and straight into their tent. I'd love for you to join us in helping make this event meet it's awesome potential. Tickets are already on sale on my site, so what are you waiting for? 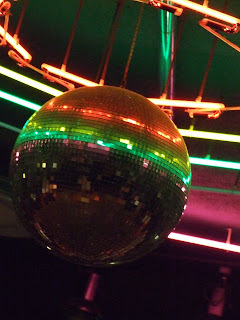 This glitterball represents the lively party atmosphere that I can guarantee at the hafla. I can't guarantee this glitterball however. Or any glitterball, although there are some rather fancy lights.